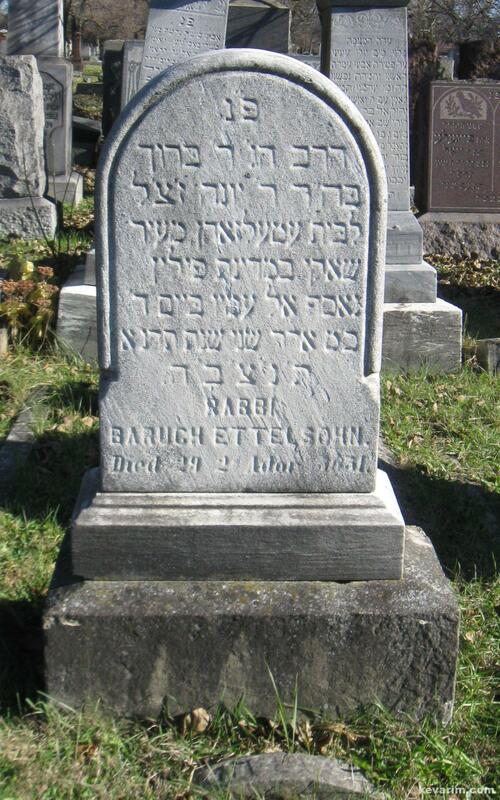 R. Baruch Ettelsohn was born in 1806 in Sakiai, Lithuania, (t.p.) and was a rabbi. 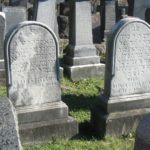 He later lived in Chicago and contributed to קרן אור. He died in 1891, leaving unpublished works in manuscript (p. ). The work was edited by his son N. B. Etelsohn who was born in Sakiai in 1828. “He had a sound Talmudic and Hebrew education, and he also possessed a great deal of general knowledge” (Gutstein, 381). 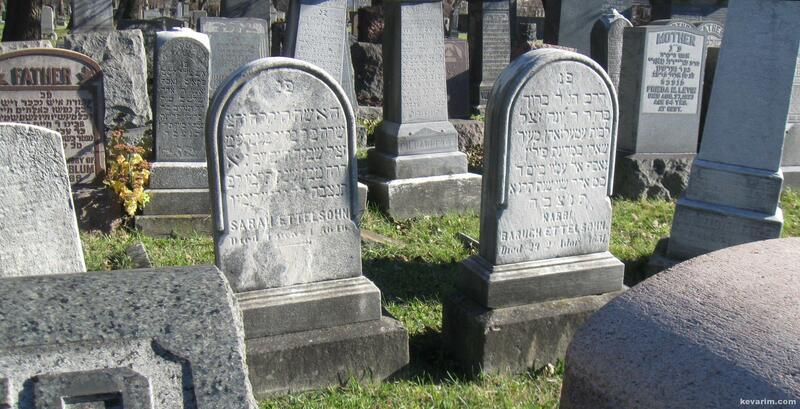 He immigrated to America in 1851 and settled in Chicago a few years later. 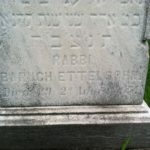 Ettelsohn opened a printing shop and became “the pioneer of both the Yiddish and Hebrew presses in Chicago” (Gutstein, 381). 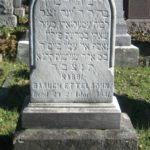 In 1877 he edited the first Yiddish periodical in the mid-west, Izraelitische Presse with a Hebrew supplement that contained polemics against R. Bernhard Felsenthal and his Reform practices. 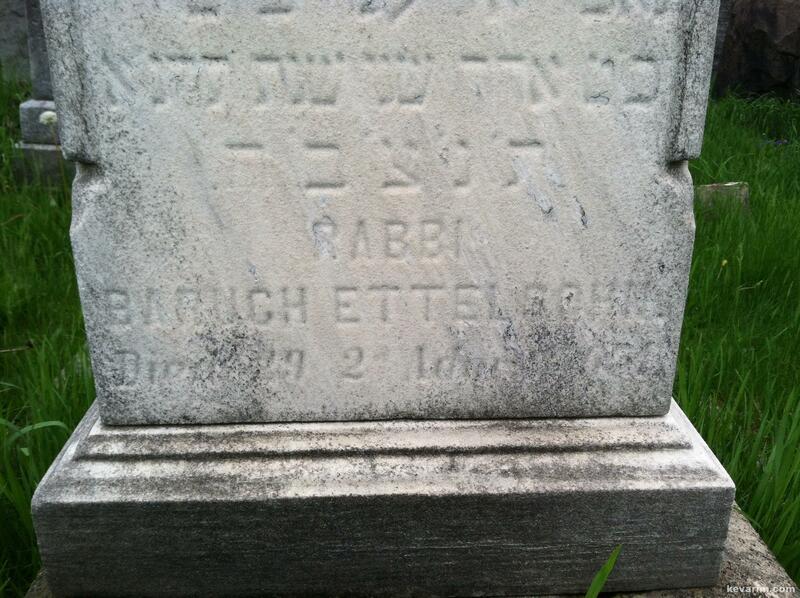 Ettelsohn, whose shop was a center for Chicago’s Hebraists, died in 1922 (or 1920).